Purchasing real estate is a major financial decision. That is why it is important for you to secure your investment with title insurance in Washington, D.C. Both home sellers and buyers must be aware of the steps they can take to prevent losses due to title defects. What Is Title Insurance in Washington, D.C.? 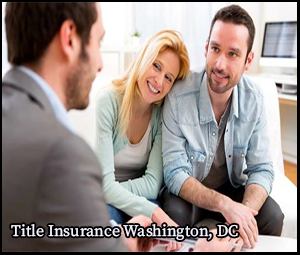 Title insurance in Washington, D.C. protects lenders and buyers of real estate. It helps them avoid the costs that can arise from problems with the title of a property. Unlike other types of coverage that guard against future issues, title insurance in Washington, D.C. protects against past events that affect a title. The Two Types of Title Insurance in Washington, D.C. If you take out a loan in order to purchase a home, your lender will likely require you to purchase title insurance. This type of title insurance in Washington, D.C. is called a loan policy. It insures your lender’s interest in the property in the event of a problem with the title. While it protects your lender, this type of title insurance in Washington, D.C. does not cover you in case of a claim against your title. This other type of title insurance in Washington, D.C. insures you against claims to your title. For example, a person may say that they should have inherited the home you purchased. If you have title insurance in Washington, D.C., it will cover the legal fees required to protect your right to your property. Unlike a loan policy, owner’s title insurance in Washington, D.C. is not required by lenders. However, owner’s title insurance in Washington, D.C. can help prevent you from suffering financial losses due to title defects—something a lender’s policy doesn’t do. The Advantages of Purchasing Title Insurance in Washington, D.C.
Companies that provide title insurance in Washington, D.C. can conduct a title search and a thorough review of property records, documents, deeds, trusts, and wills. This is to make sure that the seller is its legal owner. With title insurance in Washington, D.C., you can prevent possible lawsuits from people claiming that they own your property. Imagine purchasing your dream home, only to get a phone call from someone pretending to be its real owner. Title insurance in Washington, D.C. can protect you against unscrupulous sellers who forge the signature of someone else so they can sell the house. Some sellers may not disclose lien issues with their properties. The mortgage may not be fully paid, or its owners may have outstanding debts to the homeowner’s association. Title insurance in Washington, D.C. can help you avoid the pitfalls of undisclosed liens and other title problems that you only become aware of after you’ve purchased the property. Possible Risks of Not Having Title Insurance in Washington, D.C. Without title insurance, Washington, D.C. homebuyers can be at risk in case there is a title defect. For example, a person may think he or she got a great deal on a house, only to discover unpaid property taxes left behind by the previous owner. The responsibility for the debt will go to the buyer if he or she does not have title insurance in Washington, D.C. Learn More About Title Insurance in Washington, D.C.
Trust only Eastern Title when it comes to title insurance in Washington, D.C. Our experienced agents will be more than happy to answer your questions about title insurance in Washington, D.C. We are dedicated to providing our clients with a wide range of real estate and insurance products, including title insurance for Washington, D.C. residents. For more information about our company, visit our website.